Kappe Chennigaraya Temple is a small shrine that can be found close to the Chennakeshava Temple. 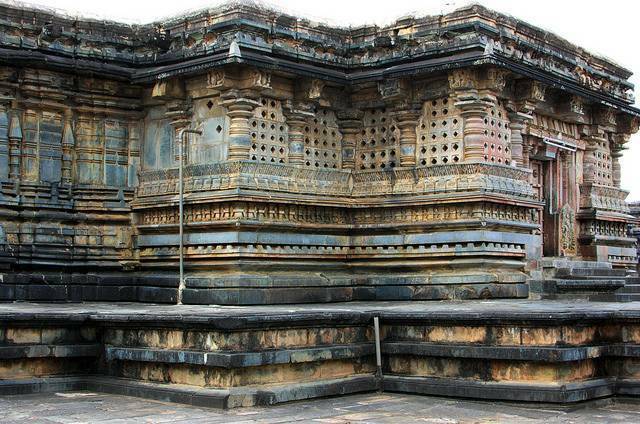 There is a story behind the temple: a father, Jakanachri was sculpting the temple when his son, Danakanachri, came and told him that the stone was defective. Jakanachri didn’t recognize his son. He said he would cut his own hand if the stone turned out to be defective. To test the stone he smeared sandalwood paste over his carving. After it dried, a portion of the carving stayed moist, some water, sand and a frog came out. Jakanachri cut his own hand before his son could stop him. This legend was the reason it was called Frog Temple.